We think of Steam as the unstoppable juggernaut of digital distribution on the PC. And it is. But Steam is also a very vulnerable product. Sure, Valve is worth billions and they operate a storefront where they enjoy huge margins on video game sales without ever needing to personally develop any video games, but the entire Steam platform is a fortress built atop someone else's foundation. This means Steam could be toppled by another company without that company needing to out-perform Steam in the marketplace. In business, Third-party management is the process of making sure you're not vulnerable to any of the companies you do business with. Let's say you're a candy company and you get all of your sugar from a single supplier. That supplier could call you up in late summer and announce they're doubling their prices. What can you do? It might take a couple of months to line up an alternative source of sugar, and by that time you'll be way behind on Halloween production, which is when you make most of your annual income. This supplier will be able to squeeze a lot of money out of you because you don't have an alternative ready. You can also be vulnerable on the retail side. If you sell all of your candy through a single chain of grocery stores, then that chain has the power to dictate how much shelf space your products get, if your stuff ends up on the shelf right below a superior alternative, or if your product gets any shelf space at all. If they decide they don't want your candy this year, you might go out of business before you find another place to sell your goods. To avoid these situations, companies try to keep their supply and distribution chain as diverse as possible. You need to make sure you're buying raw materials from different companies and selling at many different stores so no single third party can hold you hostage. Having a single supplier is bad, and so is having a single distributor. But worse than either of these nightmare scenarios is the one where you're at the mercy of a company that is neither a supplier nor a distributor. You have no agreement or contract with this other party. You're totally dependant on them, and yet they have no use for you. You can imagine a store that depends on a parking garage to provide all of their customers with a place to park. If your store burns down, the garage will see a tiny drop in business. If the garage somehow burns down, that store is screwed. But there's a situation even more precarious than this one, which is when your company is wholly dependant on another company that sees you as a rival. This is the position Valve is in. Steam may be the king of digital games distribution on the PC, but their entire operation is built atop the Windows platform. According to the Steam hardware survey, 97% of Valve's customers are using a Microsoft-based operating system. I realize it probably sounds far-fetched to suggest that Microsoft would do anything to deliberately harm Steam. What threat does Steam pose to Microsoft? Don't PC gamers make up a large segment of the Windows user base? It's important to note that Windows is more important to PC gaming than PC gaming is important to Windows. Current estimates suggest that there are about 1 billion Windows PCs in the world. Meanwhile, there are "only" about 150 million registered Steam users. Maybe that sounds pretty impressive. By the end of 2017 Sony had sold over 70 million units of the PlayStation 4. So that suggests that we could think of the PC as twice as successful as the PlayStation 4, right? Well, no. Remember that those 150 million registered Steam users are just a measure of how many people have ever gone through the Steam registration process, so we need to be careful when comparing it to the list of people who have purchased a $400 gaming console. Some of those Steam accounts may date all the way back to the launch of Half-Life 2 in 2004 and haven't been used since. Many of those accounts have been abandoned. Many belong to gamers who have allowed their machines to languish over the years as they left the PC for consoles and mobile platforms. The point is, having 150 million Steam users doesn't mean there are 150 million active PC gamers with up-to-date rigs. But, for the sake of argument, let's just assume there are. Let's pretend that every one of those Steam accounts represents a fervent and engaged gamer that cares about the PC as a gaming device. Even using this generous number, that still only comes to 15% of all Windows users. The vast majority of PCs are sitting in office environments or are used at home for non-gaming things like web surfing and word processing. Even if Microsoft did something to enrage every single PC gamer on the planet, that outrage wouldn't be a serious threat to Microsoft's bottom line. Which means that PC gaming is only a small part of the overall Microsoft strategy, and if they had an idea that would harm PC gaming but also sell more copies of Windows to enterprise customers, it would make financial sense for them to do that. To keep the example simple, imagine some change to the operating system that made Windows 10 more useful to a business but also somehow chopped the framerate of all PC games in half. Microsoft would show up to next year's E3 and proudly announce, "We remain committed to the PC as a gaming platform, which is why we're so excited to tell you about our new technology that will enable your PC to spend twice as long rendering every gorgeous frame." 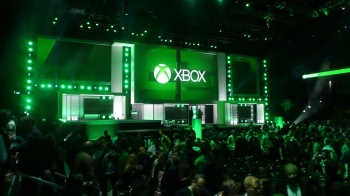 Microsoft already has the Xbox line of consoles, and I'm sure it would be a huge win for them if they could shove all of the PC gamers onto the Xbox One and focus their operating system on business. As an example of the way Microsoft might hurt PC gaming, check out the one-two punch of the UWP framework and Windows 10 Store. I wrote about the Windows 10 Store on my blog back in 2016. Taken together, these two systems are trying to turn the PC into a locked-down platform similar to consoles. (The biggest drawback is that a UWP-based game makes it monumentally difficult to develop and install mods, which has always been a major selling point of the PC scene.) The Windows 10 Store is terrible as a gaming platform and it's not at all a threat to Steam, but Valve would be foolish to assume that Microsoft will continue to be bad at this forever. None of this is news to the people at Valve, who have been working to secure some sort of alternative to Windows. That's what the Steam Machine was all about. Remember those things? They're still around, although they don't get much attention these days. That system was based on Linux and was an attempt to create a gaming ecosystem apart from the Microsoft hegemony. It didn't work out. 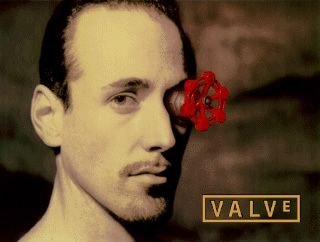 The most recent move in this market is Proton , which is Valve's attempt to expand the number of Windows-based games that can be run on Linux using compatability layers. For years, enthusiasts have been studying the Microsoft Windows systems and building systems on Linux that will (in theory) behave identically, thus enabling Windows programs to run under Linux. This work is all open source and volunteer-based. It's also a really hard problem to solve. The Windows systems are complex, endlessly varied, deeply obfuscated, totally undocumented, and constantly changing. It's hard enough to get regular productivity software to run, and getting games running is that much harder. It's such a difficult task that even after years of dedicated work by countless talented people, support for games remains spotty and capricious. Now Valve is throwing their manpower and money into the effort. Again, it's clear that they want to create somewhere PC gamers (and thus Steam) can thrive apart from the Windows ecosystem. Will it work? I seriously doubt it. It's a hard problem that gets harder every year as the underlying systems become more complex. In any case, it's interesting how these two companies have been jousting for the last decade and a half without making any significant progress. Microsoft hasn't been able to wrest the gaming market from Steam and they haven't been able to move PC gamers to the Xbox. At the same time, Valve hasn't managed to wiggle free of their dependency on Windows. I don't have a lot of hope that Steam will be able to migrate PC gaming to Linux, but I'm cheering for their efforts anyway. As Microsoft demonstrated with the stunning failure of Games for Windows LIVE, the original anti-consumer design of the Xbox One, and the current mess that is the Windows 10 Store, they are not a company that should have too much control over our gaming. Shamus Young is a game developer, a novelist, and autor of a book-length analysis of the Mass Effect trilogy.